History: Designed in 1947 by Arvid Laurin and built by Plym in Neglinge, Sweden for Harry Nystrom. Laurin was considered a radical designer in his time and created only 3 sixes; Sinkadus (1939), Gallant (1947) and Trickson VI (1948). He is perhaps best known for his 5.5 metre designs, including the famous 1952 Olympic Gold Medal winner Gullmar III which was nicknamed, "The Box". 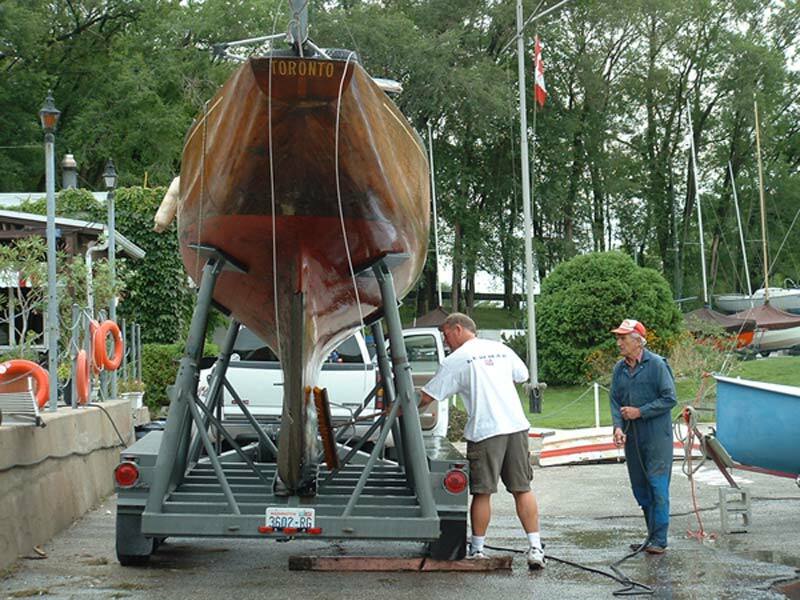 Gallant was only sailed for a few seasons in Sweden before being imported to Canada by George Cuthbertson to be part of the fun in the vibrant Lake Ontario 6 metre scene of the 50's and 60's. 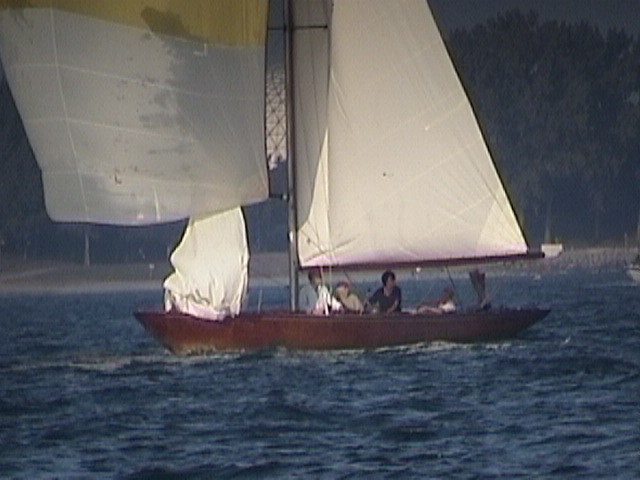 Nick Jako later owned and sailed her on Lake Ontario from 1973 until 2004. 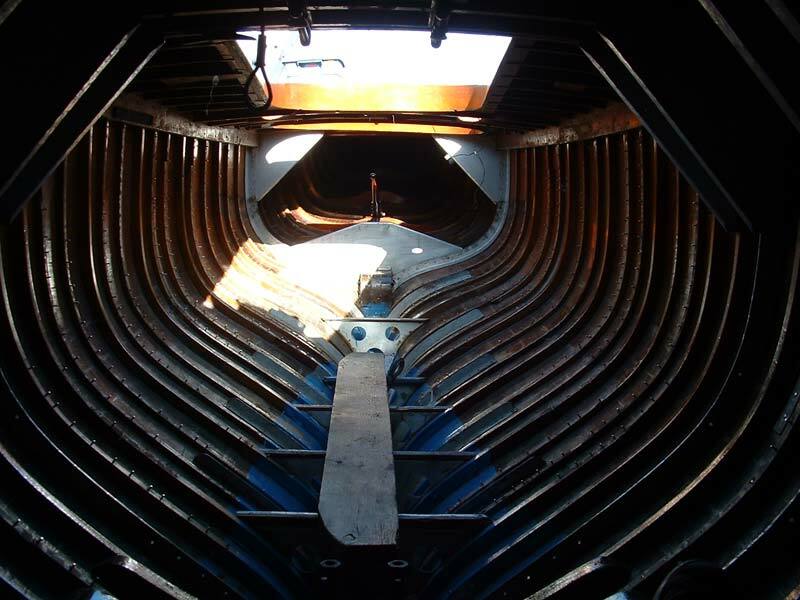 She was then purchased and rebuilt by Eric Jespersen Boatbuilders of Sidney, British Columbia. 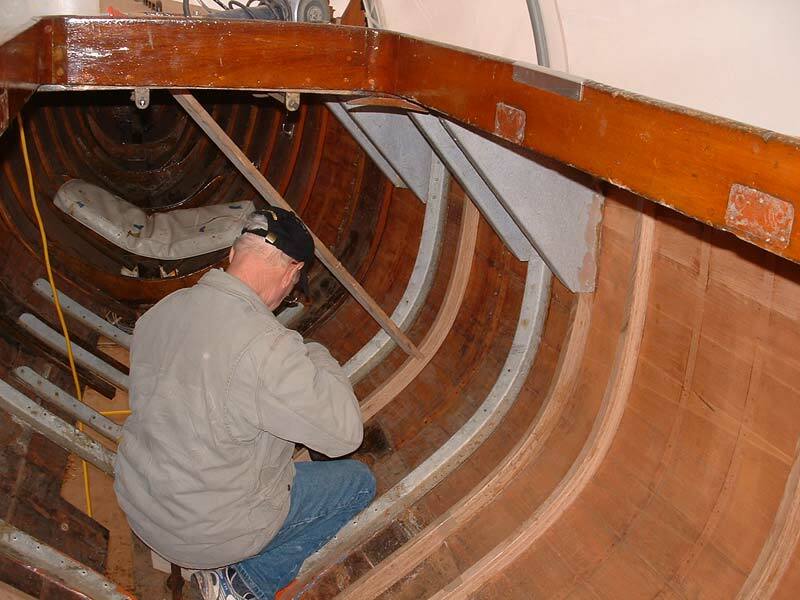 In Eric Jespersen's skilled hands and with his father & son as crew, Gallant won at the 2009 World Championships in Newport, Rhode Island. Eric later sold the boat to Rainer Muller, who immediately asked Eric to defend Gallant's World Champion title in Helsinki at the 2011 Worlds. She ended 2nd in a very competitive 46 boat fleet. Next, under Ross MacDonald's steady guidance, Gallant won at the 2012 European Championships in Nynashamn, Sweden. 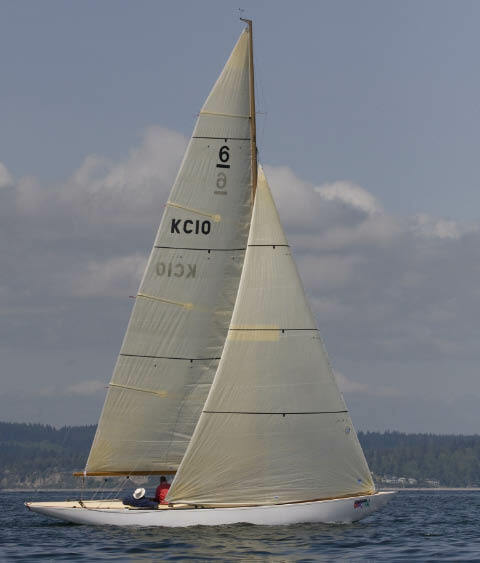 Gallant most recently competed in the 2013 World Championships at Flensburg, Germany, where she won the Robbe & Berking Sterling Cup and placed 7th of 24 entries in the Worlds, helmed by Don Martin. Gallant has been in Europe for 4 seasons and will remain for at least the 2015 World Championships at La Trinite before returning to Vancouver, Canada, the site of the 2017 World Championships. 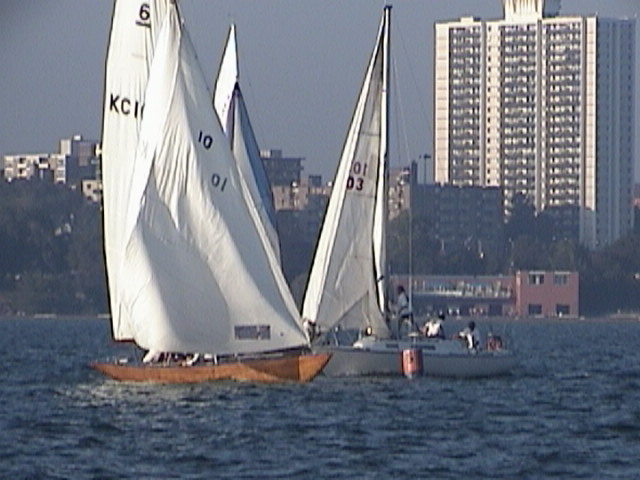 2009 World Champion and winner of the Djinn Trophy at the 2009 World Cup in Newport, Rhode Island. 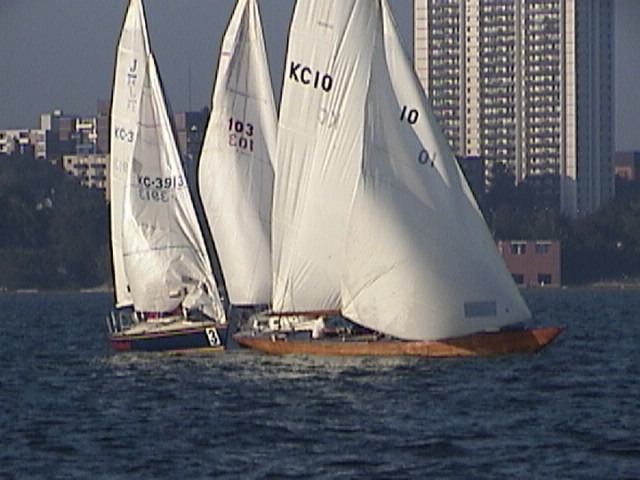 2011 World Cup in Helsinki - 2nd place of 46 entries - Eric Jespersen, helmsman. 2012 European Championships - Classics winner and recipient of the President Woodrow Wilson Trophy - Ross MacDonald, helmsman. 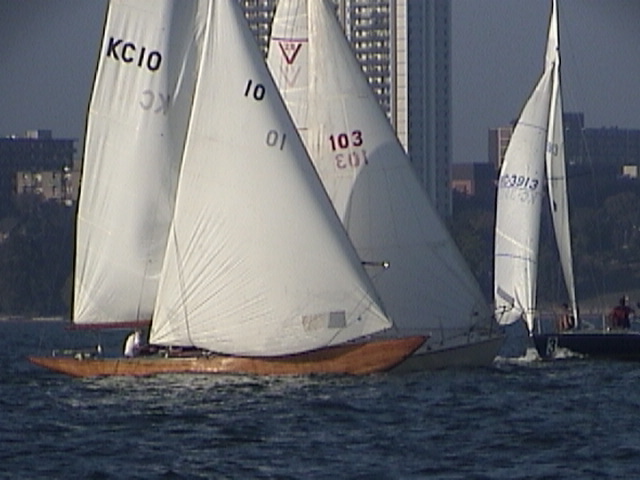 2013 Robbe & Berking Sterling Cup - Classics winner under Don Martin. Rob Carlow with the President Woodrow Wilson Trophy at the awards ceremony in Nynashamn. 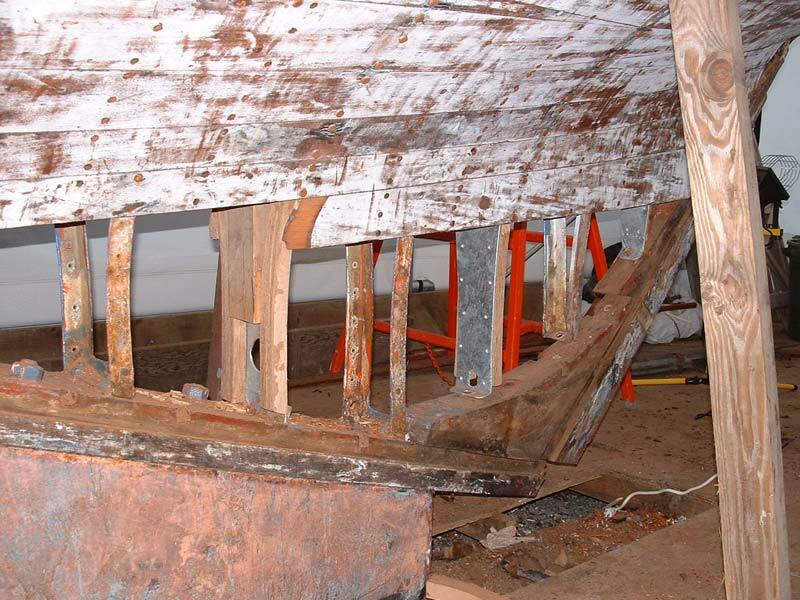 Photos further below show Gallant during her restoration in Sidney, B.C. 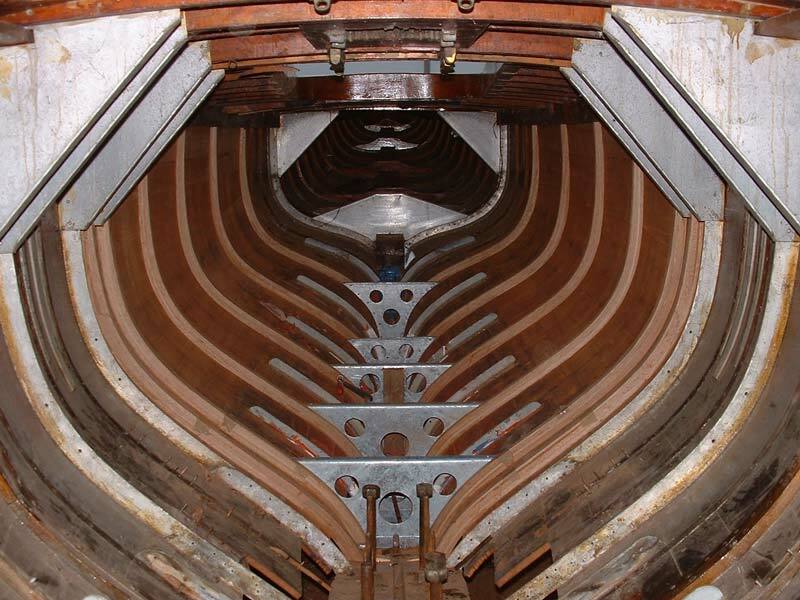 at Jespersen Boatbuilders. Lower down the page, photos of Talizman on Lake Ontario in the Summer 2001. 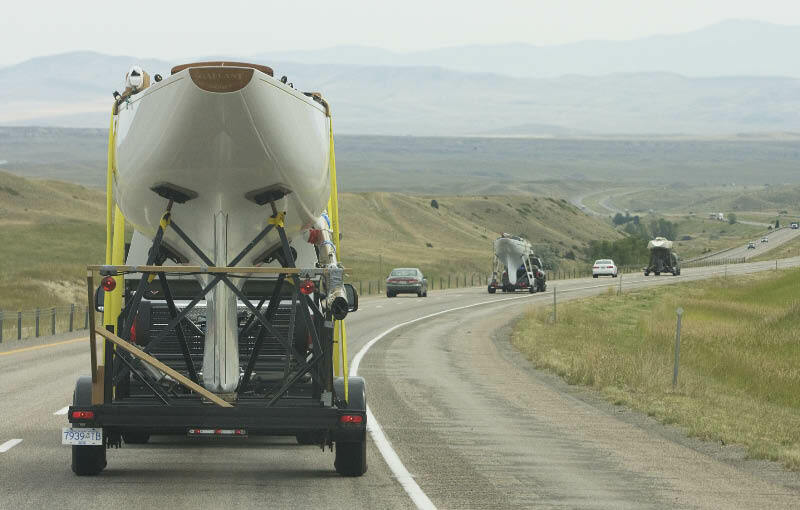 Gallant just over the Continental Divide on her way to Newport, R.I. for the 2009 World Cup. Ahead is US 90 Fokus3 and USA 123 Finnegan. Photo by Dana Olsen - all rights reserved. Eric Jespersen gives her one last scrub down before hauling her 3000 miles to Sidney in October 2004. Nick Jako supervises. Preparing to remove some frames and straps before restoration gets underway. New frames in place and new galvanized steel floors. Note the keelbolts backed out of the lead in the foreground. 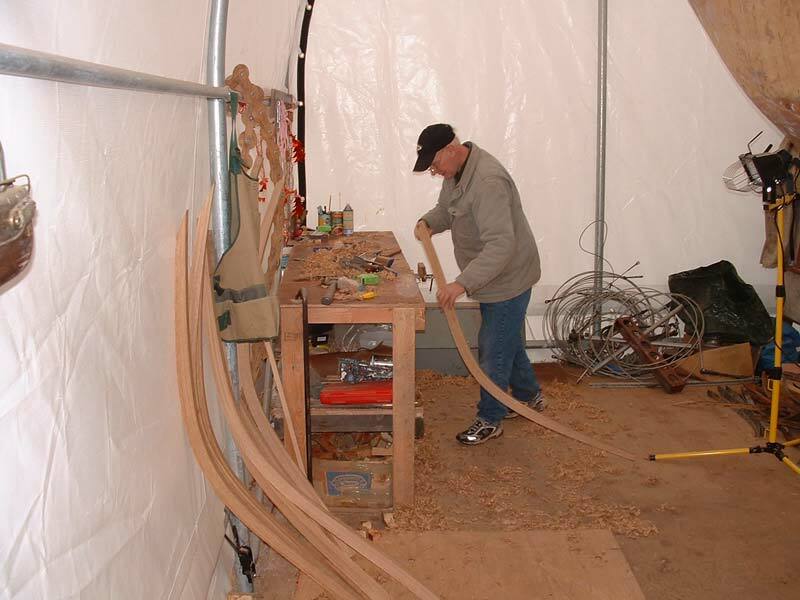 Bent Jespersen fine tunes a few frames before they go into the boat. Bent fits a frame near the mast step. The photos below show Gallant in Toronto in Summer 2001 fighting it out with lesser craft.